The following are examples of artwork by the artist Boban. Some pieces displayed may be examples of commissioned works that have already been sold. All artwork availability is subject to prior sale. 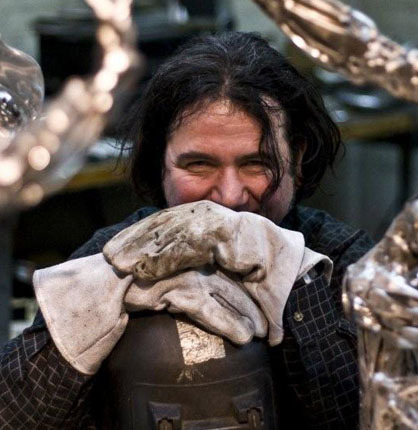 Boban’s sculptures grace major collections throughout the world. Hyatt Hotel owner, Jay Pritzker, film and musical star Tony Bennett, and notable figures in the world of sports are collectors and have often become Boban’s personal friends. Monumental versions of Boban’s works include the “Shaka Zulu” in Chicago and the sculpture of “Pegasus” in Montego Bay, Jamaica. Commissions for McDonalds are displayed at their corporate headquarters and a Boban sculpture commissioned by Exxon-Mobil is part of their private collection in Texas. Internationally and nationally lauded, Boban received the Award of Excellence at the Port Clinton Art Festival and has made appearances on “Good Morning America,” “Wild Chicago” and “Starting Over,” garnering the artist major public acclaim and accolades.